I remember when sun cream used to be thick and sticky. In the 1980's when Factor 20 was about the highest you could have I remember being slathered in the stuff by my Mum in order to fend off the pesky sun rays that shot through the melting ozone layer and attacked my pale-as-anything skin. When you have red hair it's a dead cert that you're not going to even get little bit tanned, just burned and therefore wearing a high factor cream is a no brainer. As I got older and we all knew more and more about the connection between the sun and burning and skin cancer I was so glad my Mum had insisted on the slathering of the dreaded thick Soltan from Boots. I have to say I did like the smell of it, I still do, it reminds me of happy childhood holidays, so precious. These days, I've moved on from Soltan and it's sticky thickness. 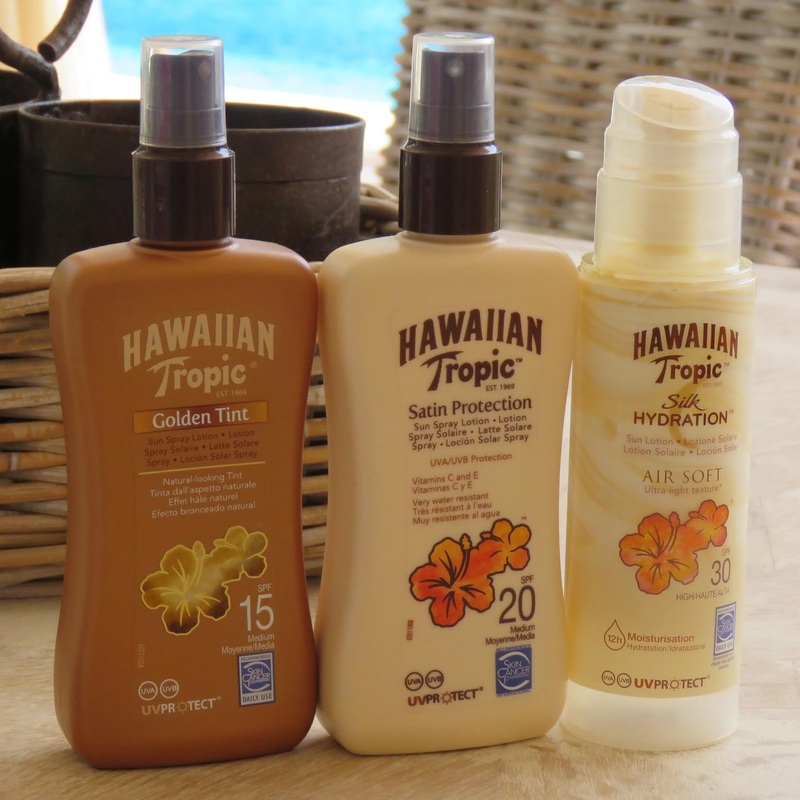 In fact, I'm a bit of a sun cream connoisseur, I know what works best for me. 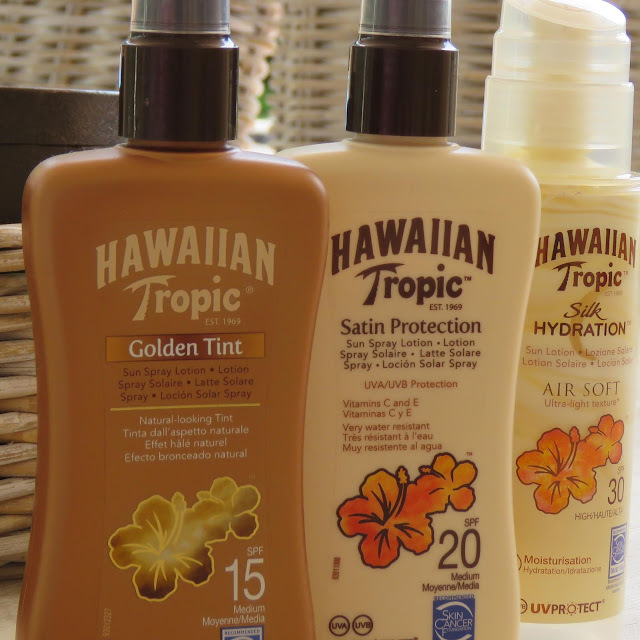 One of my absolute favourite brands is Hawaiian Tropic. They have an amazing range (I go to the big Boots stores to peruse the shelves) and there's something for everyone. I've got three I go for on a regular basis. 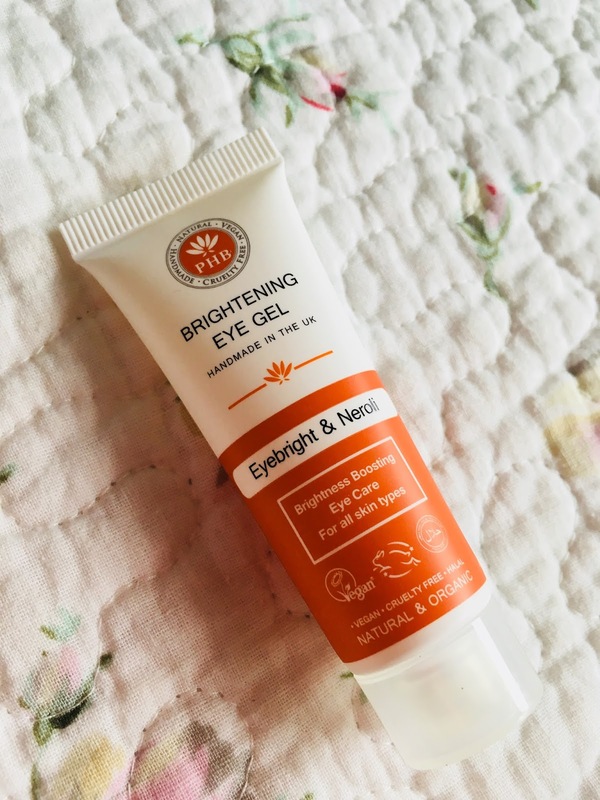 In a pump action bottle, cream with a lovely moisturising feel but also thick enough to feel like when it sinks in your skin will be protected. Not sticky! I love this one. It's a spray for a start which means speedy which is always a good thing, it covers quite a big area as well, sometimes I worry that the sprays aren't as good because the liquid is finer but it never seems to make any difference, it's always worked, no burning from this one! I love the golden tint in this one. I wear this on my legs mainly, in the Spring months when the weather isn't hot and there the UV rays aren't very high. It just helps take them from alabaster to normal person white and it's moisturising in the process. It does stain clothes though so it has to be totally sunk in before you dress. Also it's not a gradual tanner it's a wash off. I'm in Spain now with my family and it is VERY hot. VERY. It's been hot in the UK but we've had warnings here about extreme temperatures. I'm not sure even all three of these combined would cut the mustard against the burning rays so I intend to stay in the shade and well out of the sun. Note: All the products listed above can be purchased in Boots (www.boots.com) however I am not sure if they still do the Golden Tint, this can definitely be found on Amazon and in drugstores (Walgreens, CVS etc) in the States.